Take a look at these exquisite Catalin radios and be prepared to throw your current clock radio on the ground in disgust. 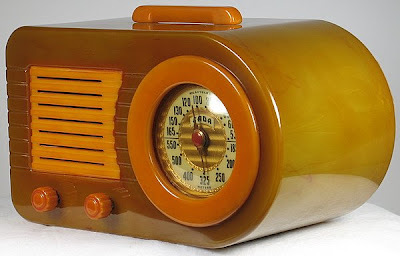 Catalin is not a radio brand name, but is the trademark for the molded resin from which these radios were constructed. 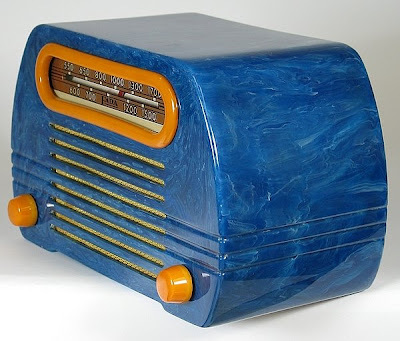 Catalin and bakelite are the only plastics I have ever seen that look better with age.